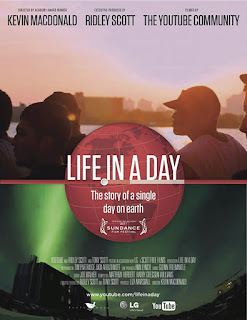 I watched Life in a Day over the Christmas period. I enjoyed it. It moved me and amused me in lots of different ways. 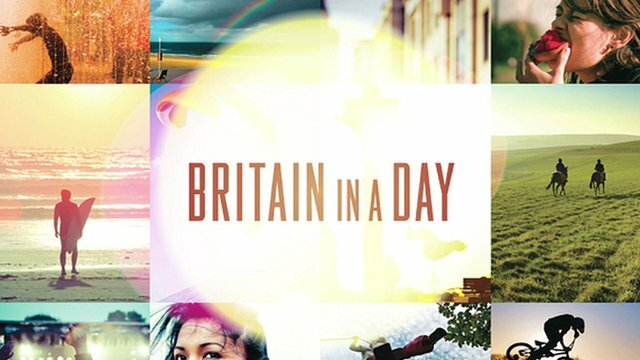 The more recent follow on is entitled Britain in a Day. I say follow on, but I must stress that this is an entirely separate project with both films having entirely different studios and production teams behind them. However, what is really important is…which one is the best? Now, recent reviews of Britain in a Day have been positive and yet comparative. The two films are being compared and discussed in relation to the other. Of course this was going to happen. Of course two such similar films were going to be contrasted. Now, this is going to be a brief post. I will not be including an in-depth review of either film. I enjoyed both films and was moved by both. films Here, I would like to focus much more upon the differences of the films. When it comes down to it, and after a close analysis of the two films, I would have to agree that Life in a Day is a better film, (come on, Ridley Scott was involved!) It is a little more articulate than Britain in a Day and delves into deeper caverns of the human psyche. It asks more questions and confronts more diverse cultures than Britain can offer, alone. However, I would have to say that Britain in a Day was the far more enjoyable of the two. You may think that this is down to the patriotism of the film and the lives that it shows. In fact, it’s the opposite. I felt more pain from the second film. I felt more involved in the lives that were filmed and more moved by the different lifestyles and manners of the individuals throughout the film. In fact, it was the lack of patriotism, the harshness of reality and the joys of life and sadness of death that has caused me to fall in love with this film. I will admit that I initially intended to watch this film whilst tidying my room. Background noise that I could occasionally stare at in order to make my chores a little more bearable. I am a disgrace, I know, I apologise. However, from the first ten minutes I was transfixed. It is a little more cliché at moments and it doesn’t flow as elegantly as Life in a Day but yet somehow, it has really got under my skin. Tags: Documentary, Life in a Day. Bookmark the permalink. Previous post ← The Magic in the Shadows.